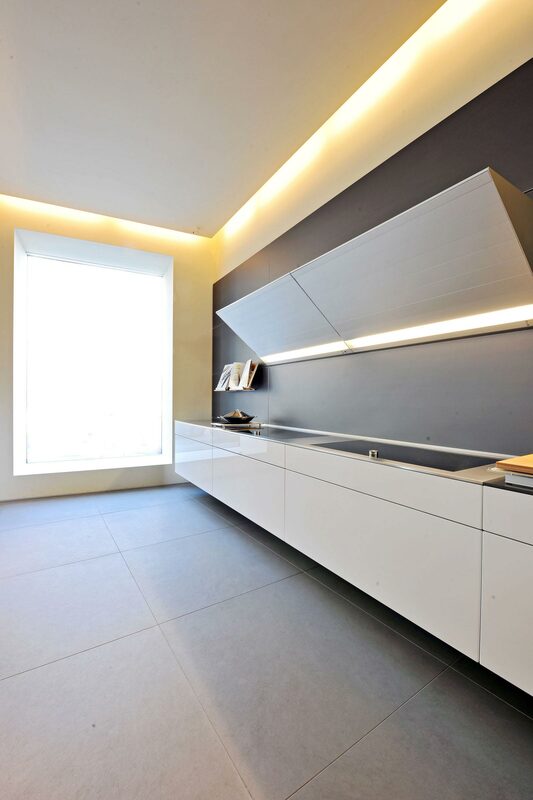 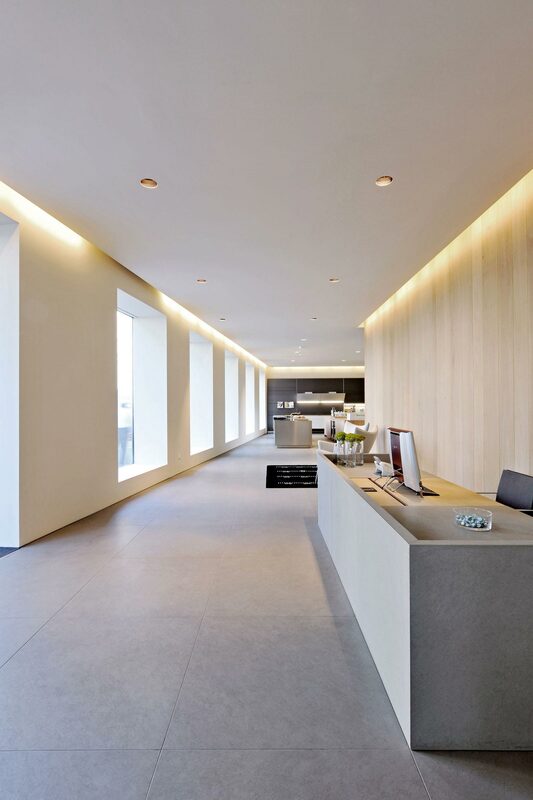 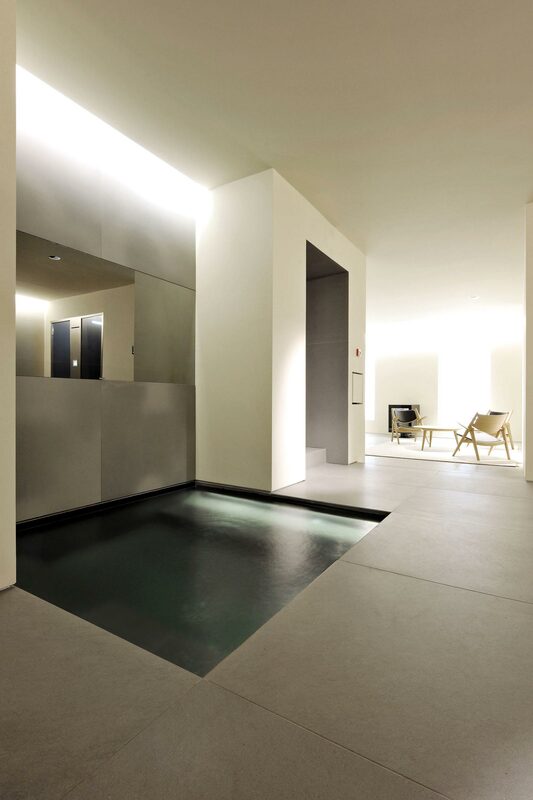 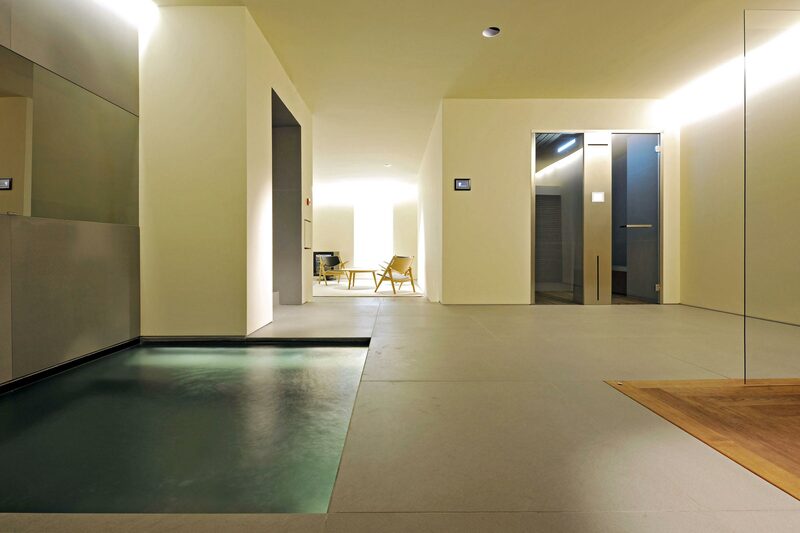 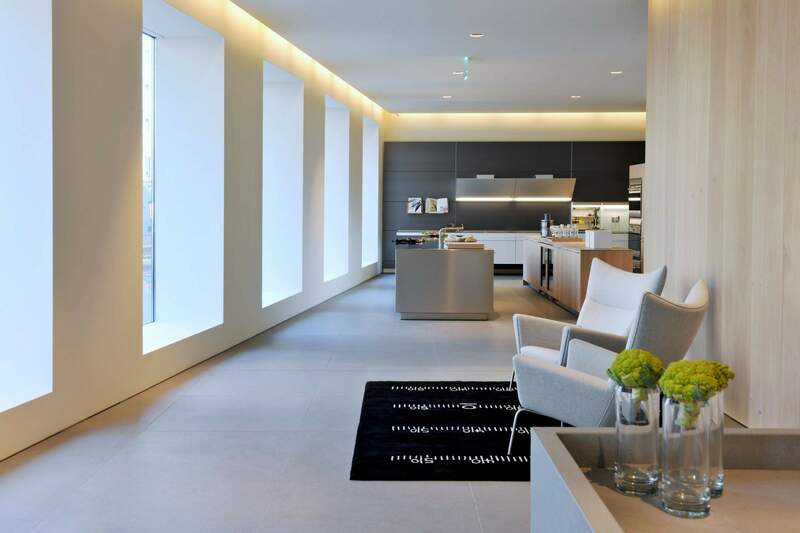 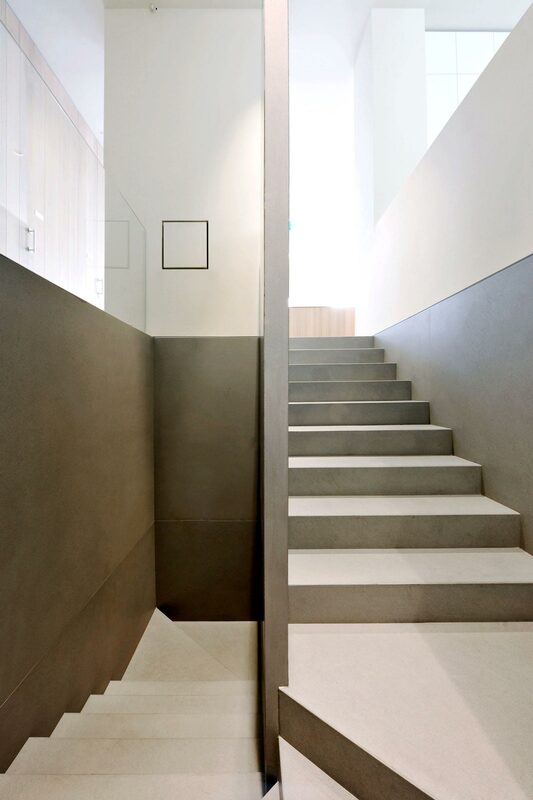 The minimalism of John Pawson enters the Bulthaup showroom in Milan right from the main entrance, and from there radiates over the flooring – in Pietra Forte Fiorentina – running along the grouting lines between the slabs laid on the floor. 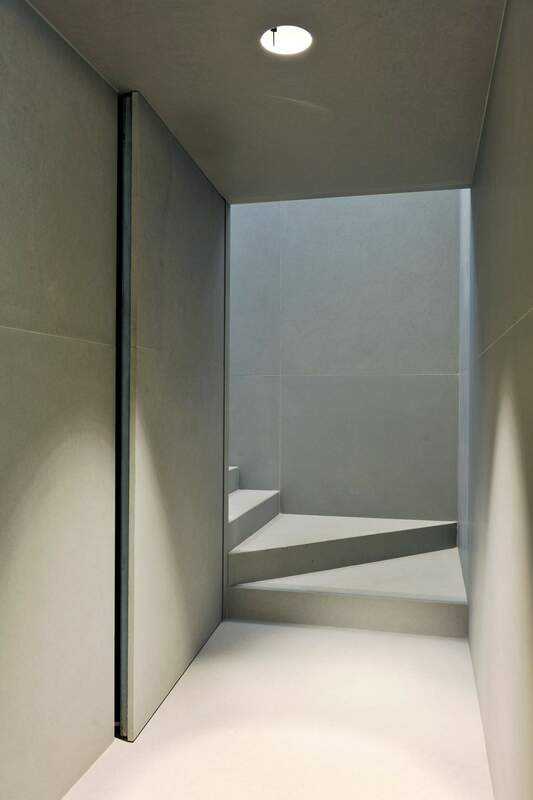 Within the base latticework, the essential furniture and the steps of the staircase emerge, and then the tiling in the bathroom. 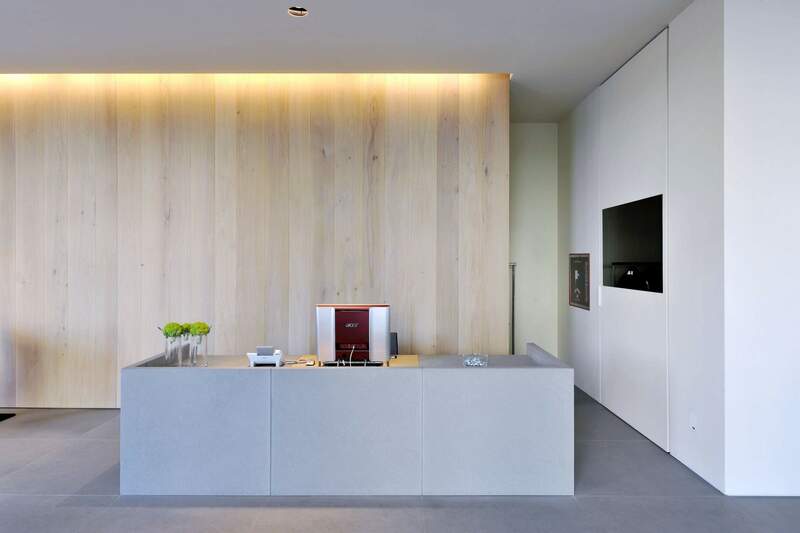 The desk facing the entrance seems to extrude from the modules of the flooring; the staircase sees the material carved with precision. 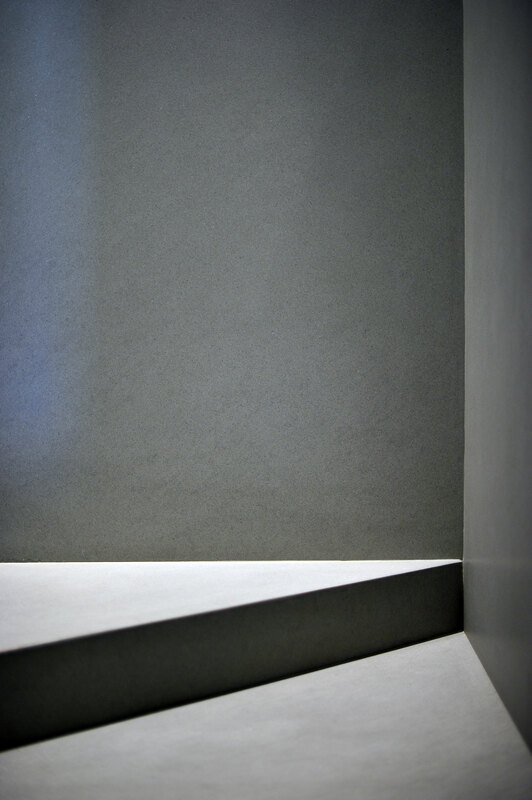 The geometry of the vertical connection is strictly controlled; the only variable appears to be the natural and artificial light component, capable of enhancing the clean shapes and enriching the range of greys. 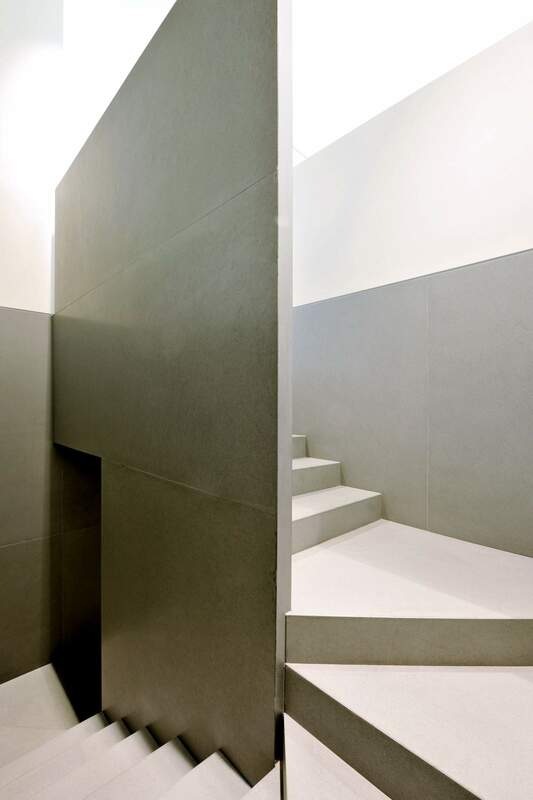 Sandstone also features laid vertically, in the bathrooms and the interiors of a Hamman, showcasing the happy cohabitation of stone and natural materials such as metal, water and wood.